This is a great question for anyone in or working with a team. The ‘it’ could be an idea, solution, product, process or course of action. I love it because there is a collaborative aspect — ‘we’. And the question suggests a continuous journey rather than a destination i.e. best. It suggests an openness to the possibility that any solution, idea etc could be made better. There is a humility about this question. In my workshops for example when groups come up with their best ideas I then say. How can you make your idea 9 times better? You have 2 minutes – go. People are then amazed at how much better they can push their idea. Most of the limits we place on ourselves are self-imposed. 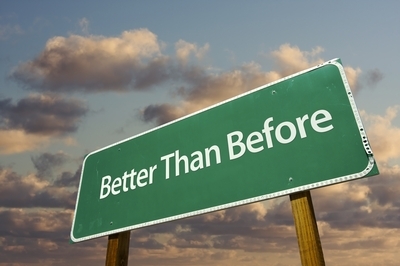 Better — is so much better than best! It’s a lovely example of how a small, simple question can have a big impact.